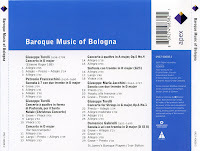 During the sixteenth century Bologna was comparatively unimportant as a musical centre; musical life was centred on the principal churches and monasteries, but even there there were few musicians of any real significance apart from Giovanni Spataro (a highly-respected theorist whose fascinating letters have just been published), the first maestro di cappella at the major church of the city, San Petronio. As with painting, the real change came in the seventeenth century when an orchestra was added to the forces available at San Petronio, and when the foundation of the famous Accademia Filarmonica encouraged a school of local composition. 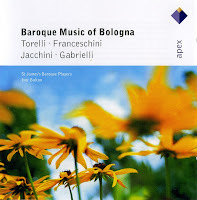 This new record from Ivor Bolton and the St James's Baroque Players provides a fair sample of the Bolognese baroque manner, and particularly of the San Petronio cappella. 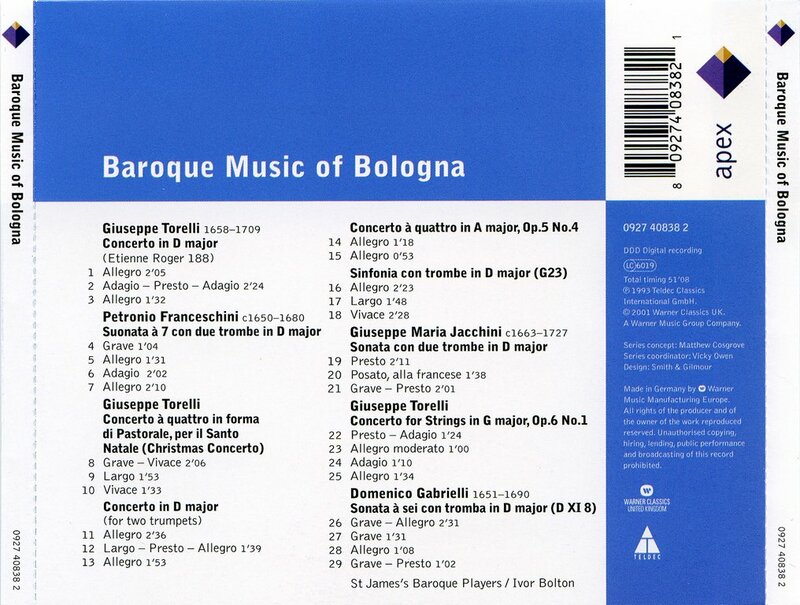 Inaugurated by Maurizio Cazzati, whose music is not represented here, it culminates in the music of Giovanni Battista Vitali and Giuseppe Torelli. It is Torelli's music that is by far the most interesting on the record, harmonically more varied, with a greater sense of drama and altogether more lyrical.